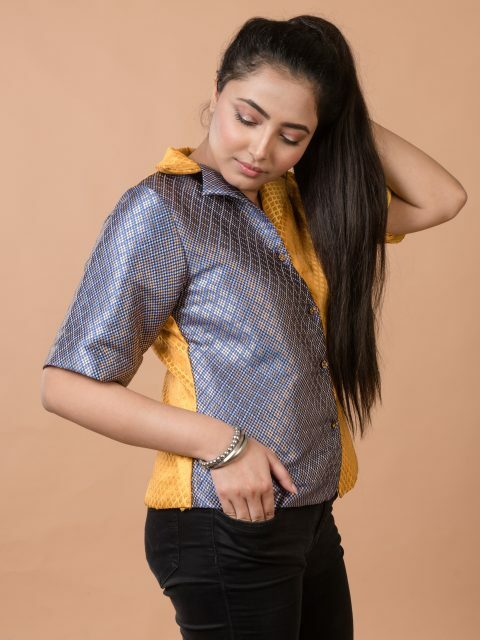 We don't understand subtle. 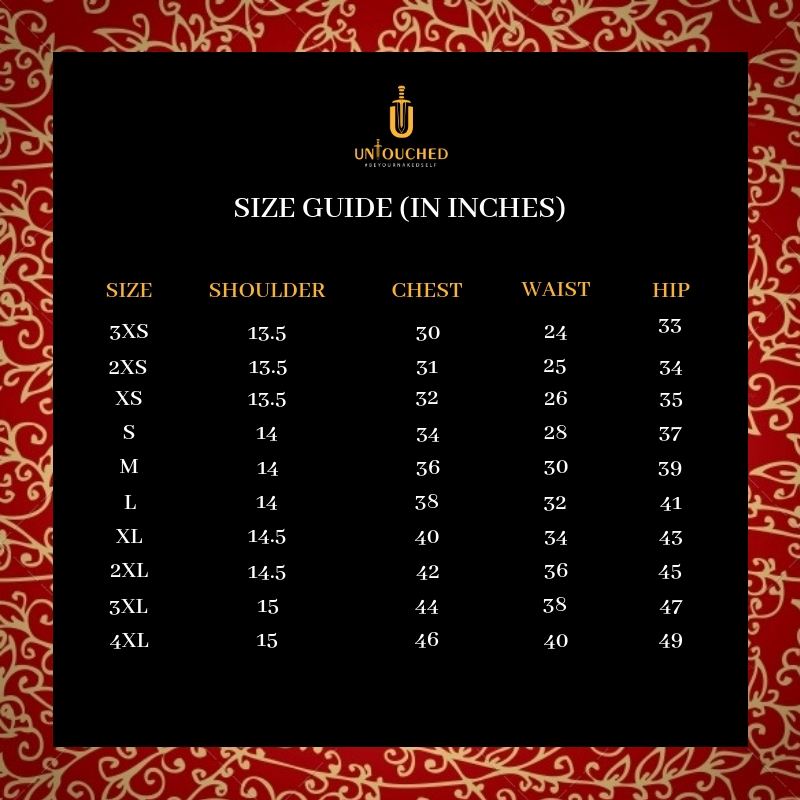 Brocade is a fabric that is supposed to stand out, and who are we to say no to that? 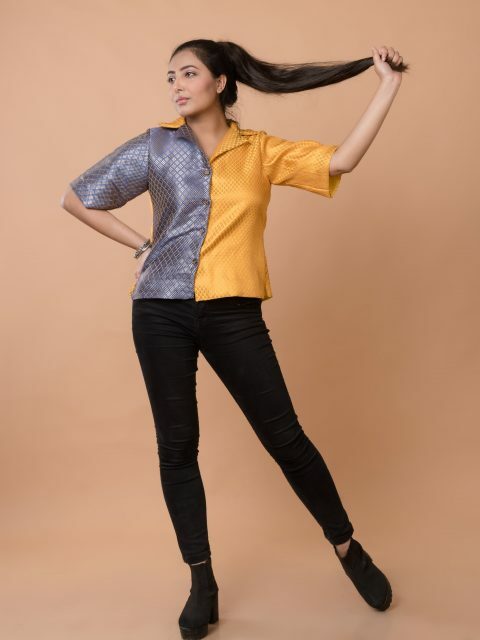 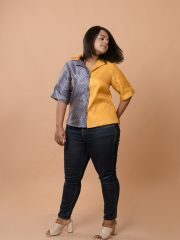 Our 'Half and Half shirt' is made up of two contrasting brocade fabrics and it has a boxy fit with an exaggerated collar. Wear it with skinny jeans and boots for a sassy look, or pair it up with a pair of heels for an evening out.